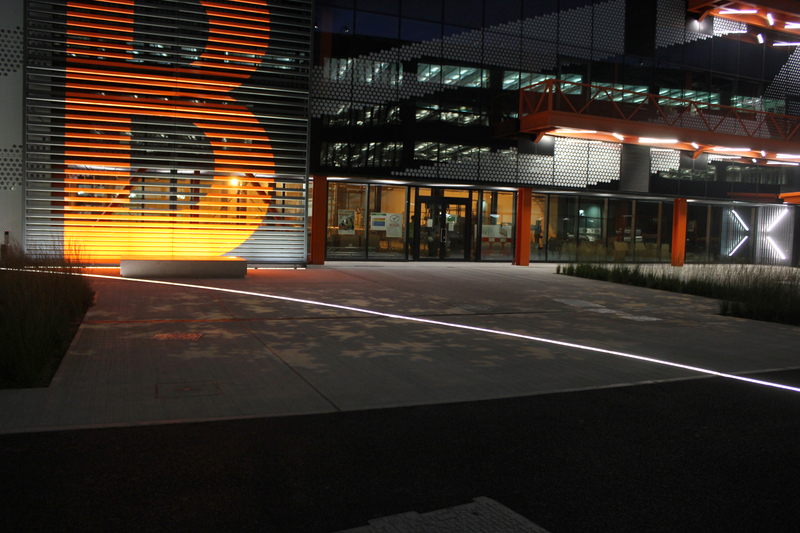 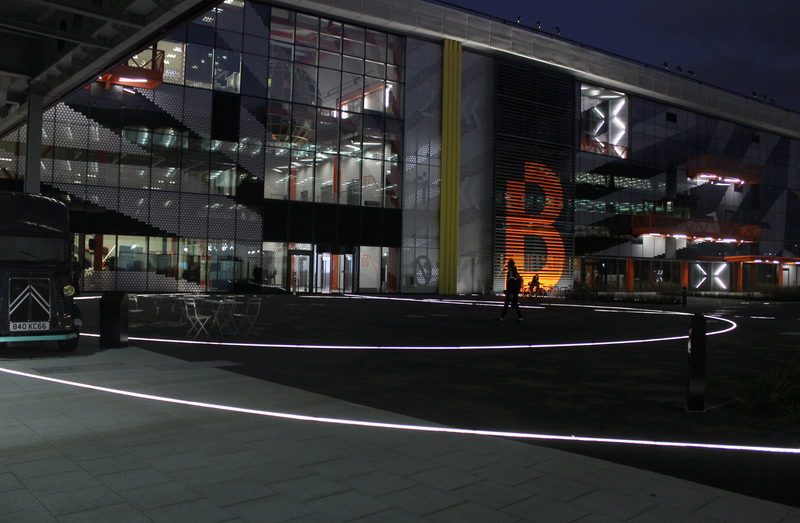 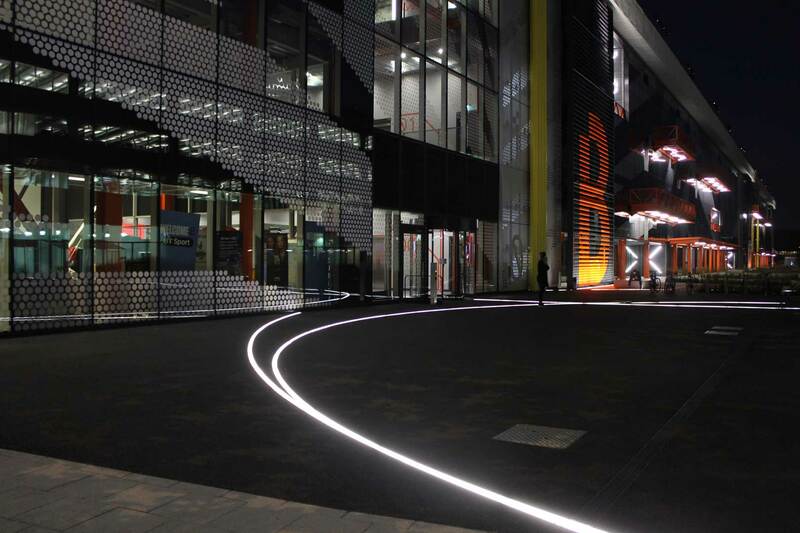 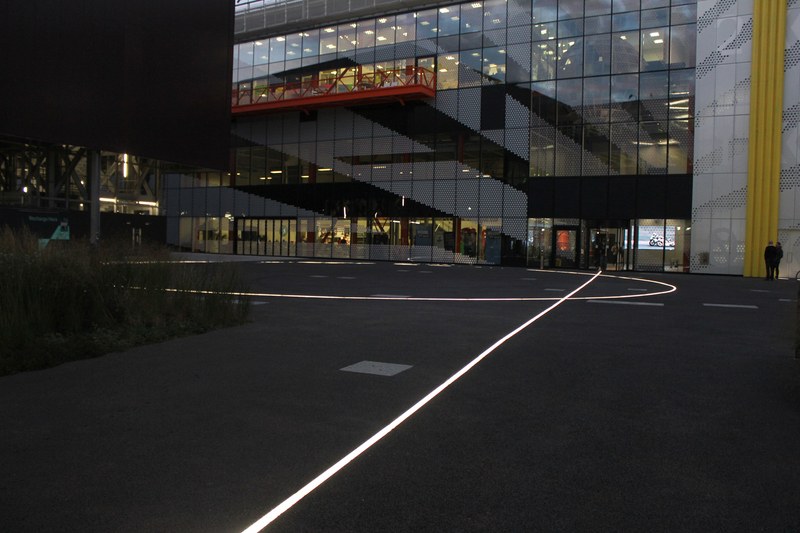 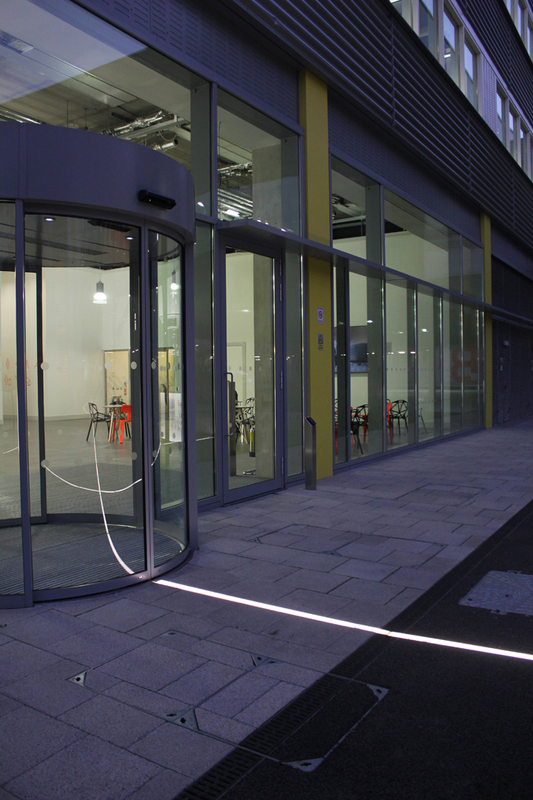 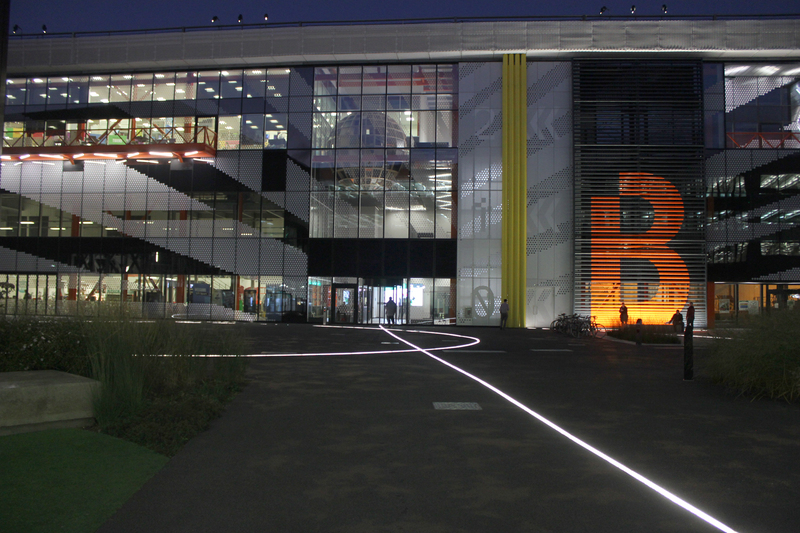 Sitting in the heart of the new Here East development in Stratford, we recently manufactured and installed a bespoke exterior lighting feature, using our inground Glowline product. 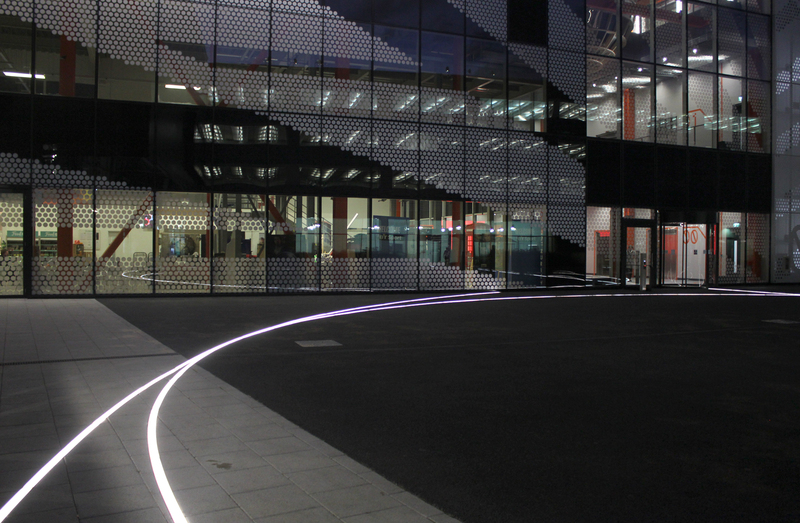 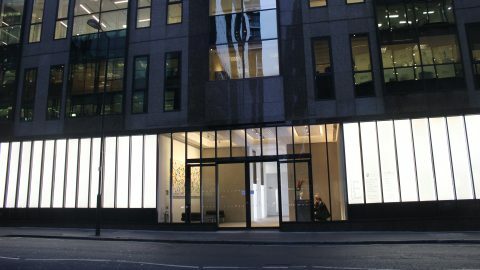 Working to the initial concept by architects LDA Design & Cundall Light4, The Light Lab were appointed to transfer the designer’s vision into an eye-catching yet practical and durable solution. 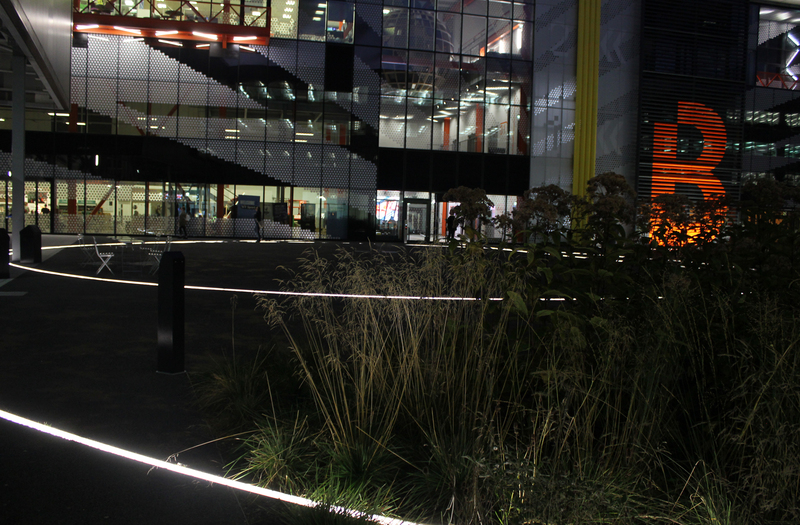 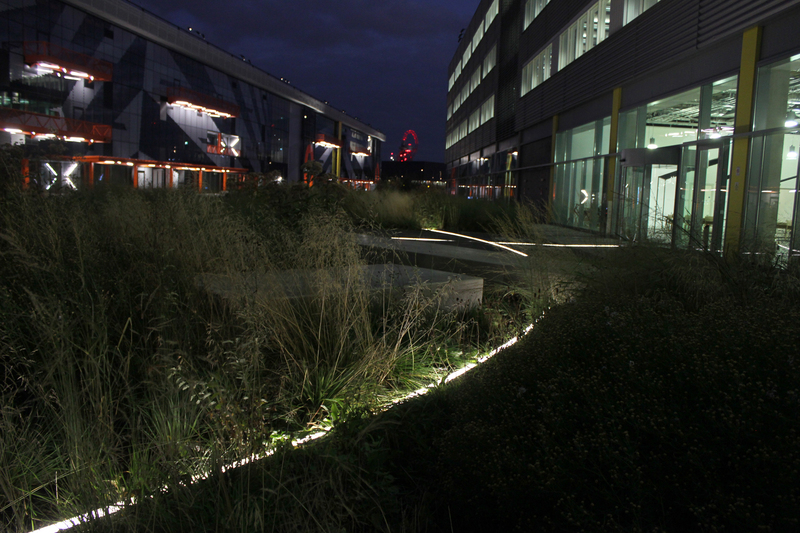 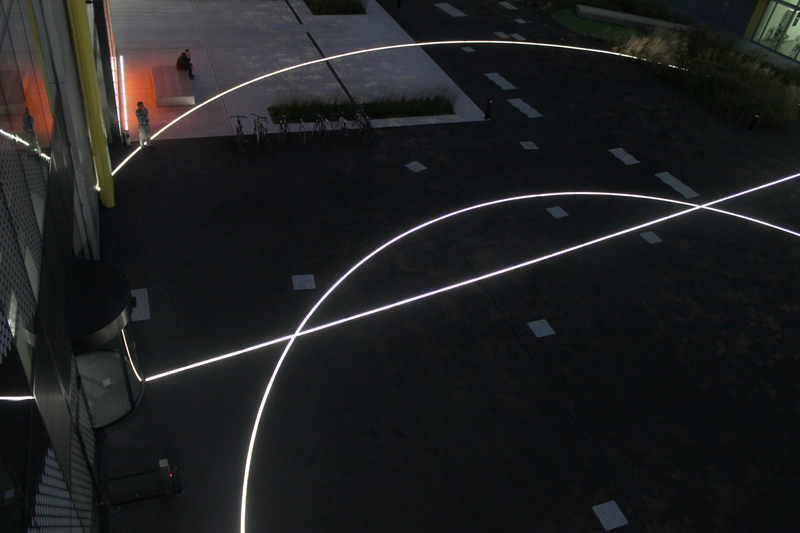 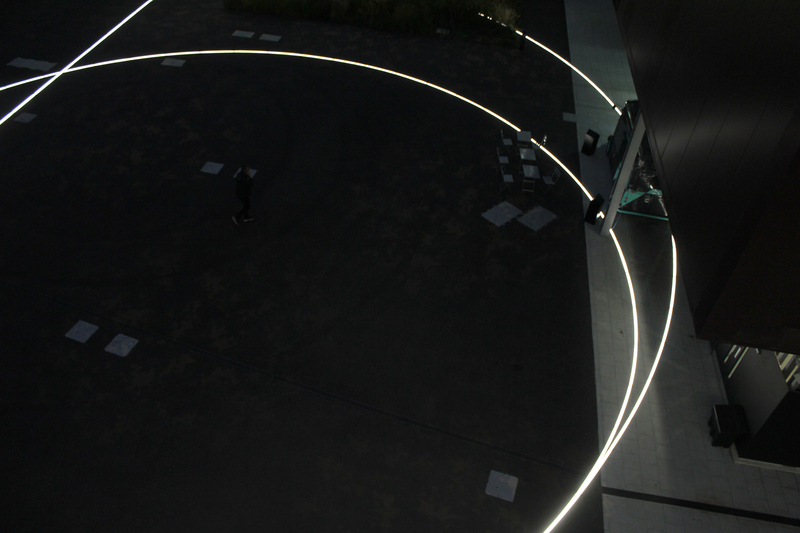 The lighting scheme, comprising of interlocking circles and lines of light, sits recessed in a number of different exterior surfaces; including concrete, astro-turf and soil/shrubbery. 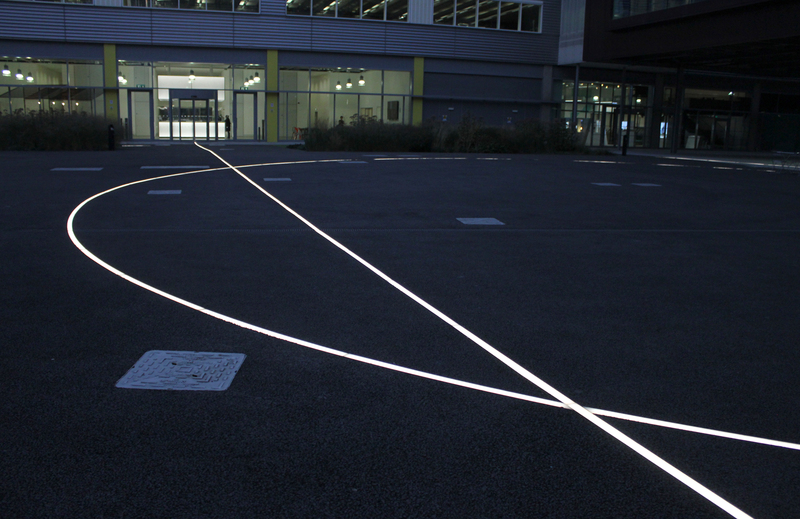 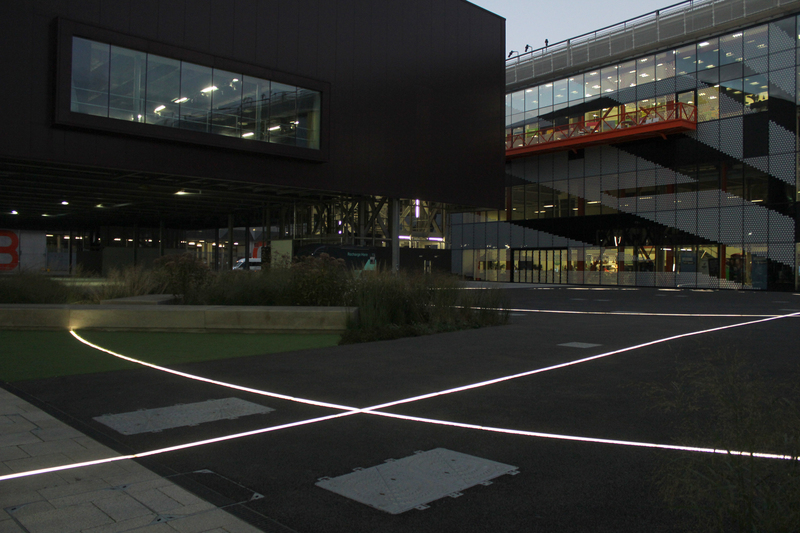 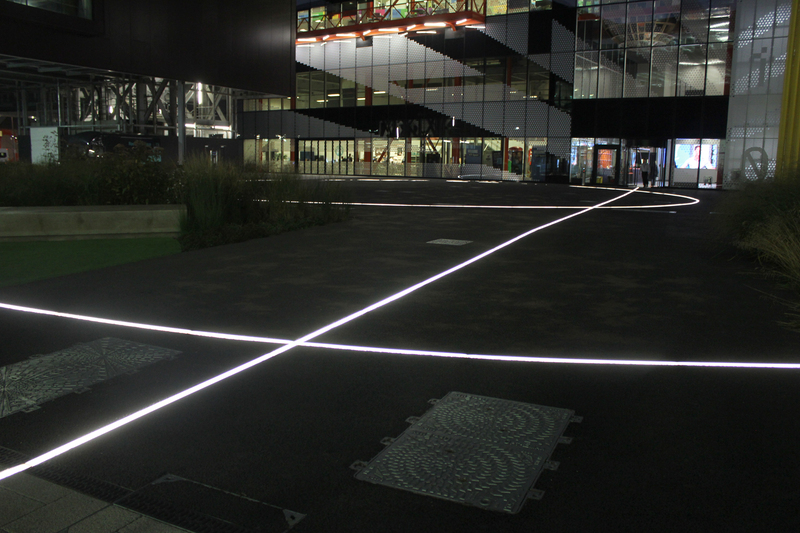 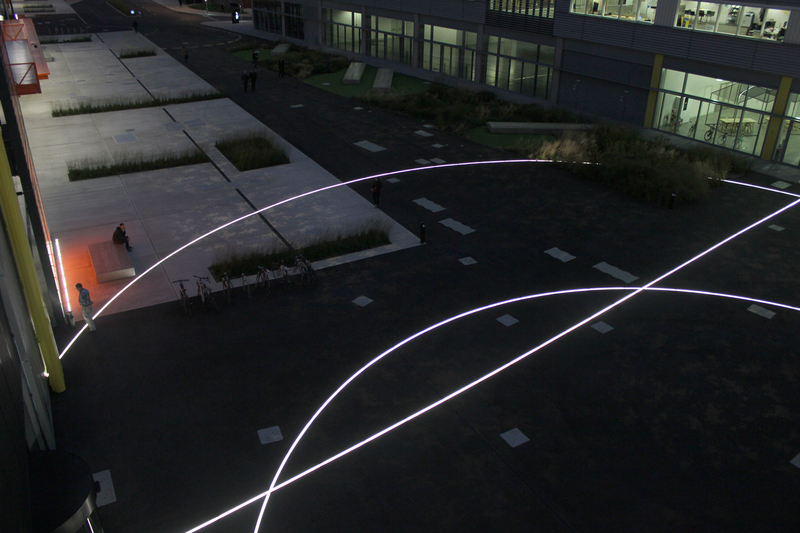 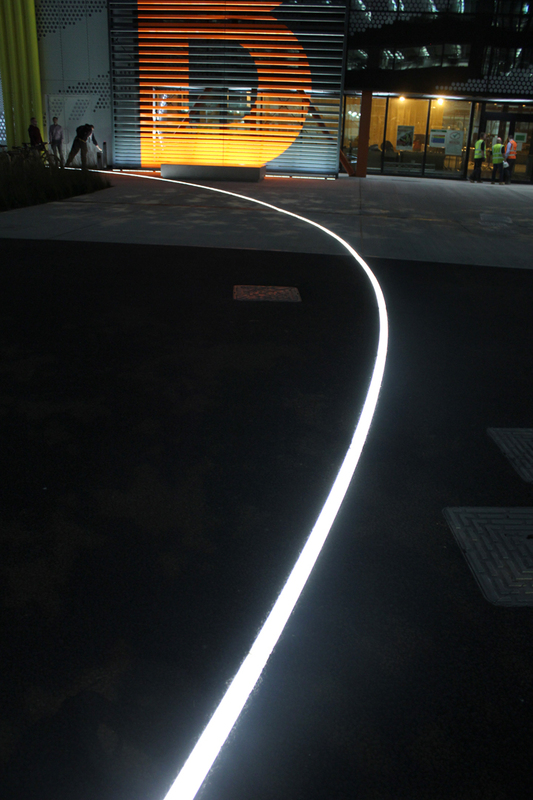 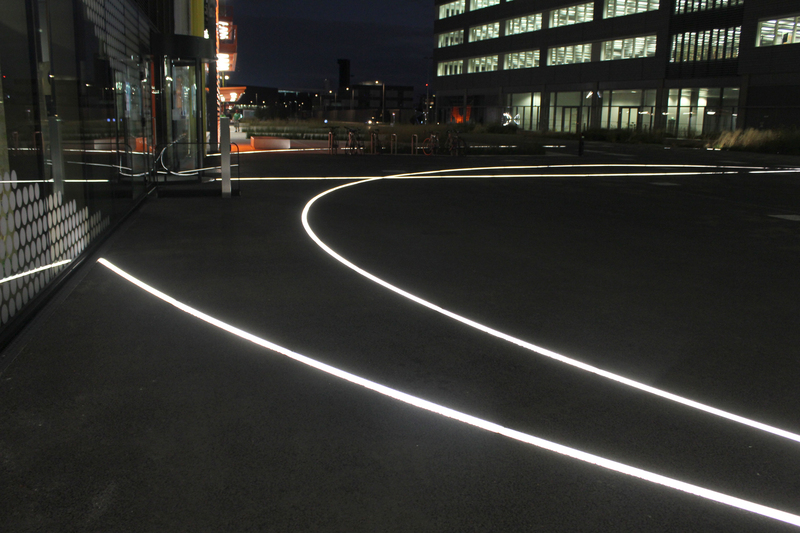 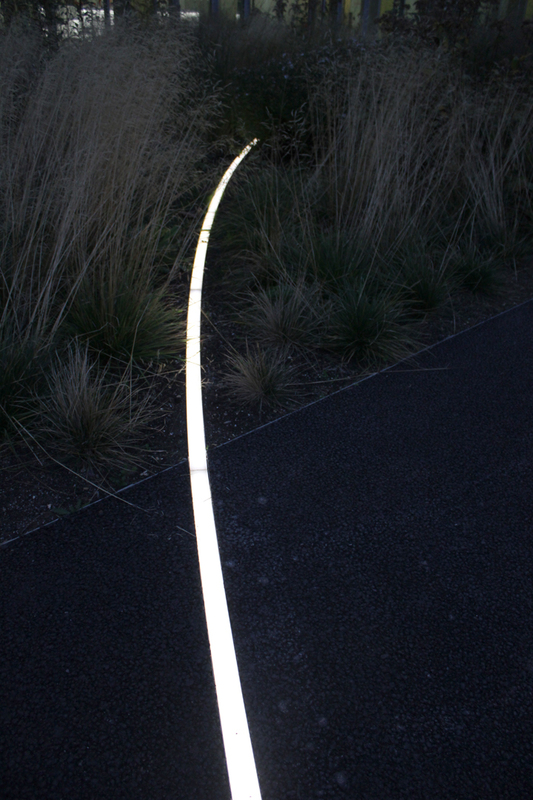 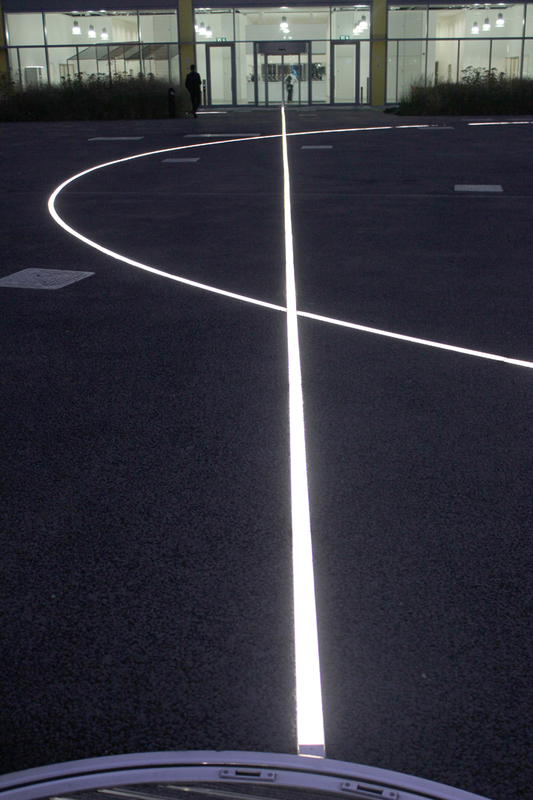 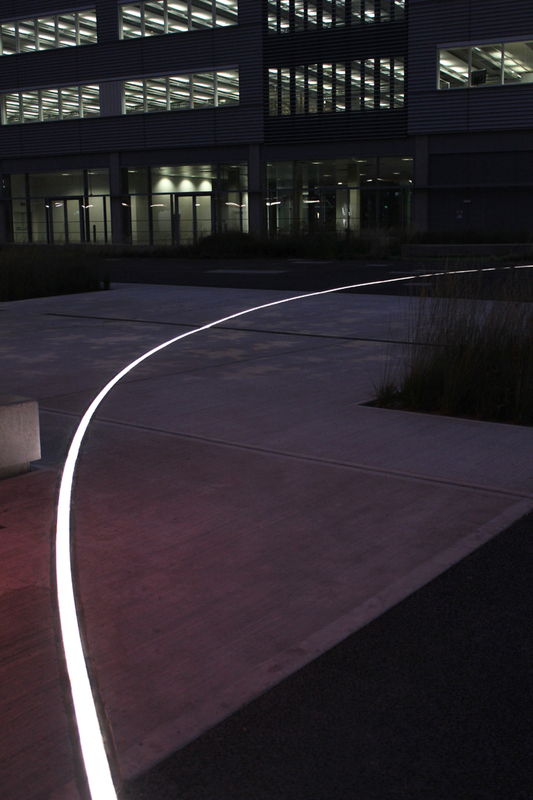 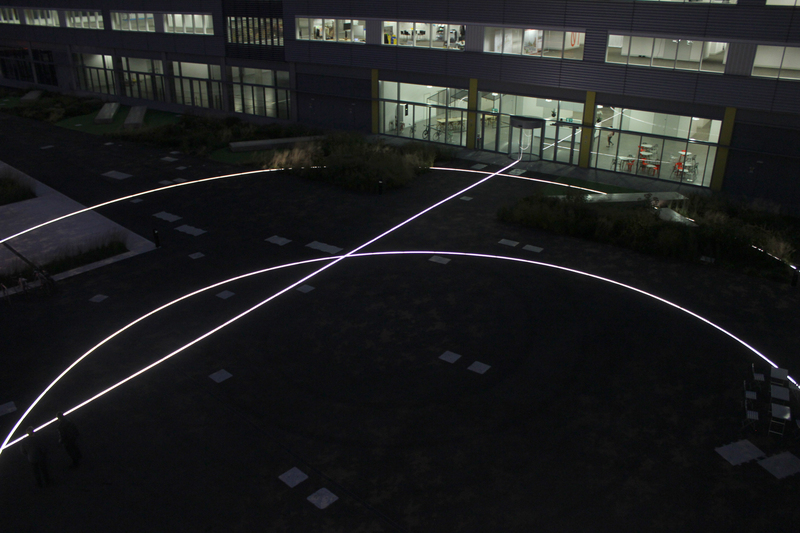 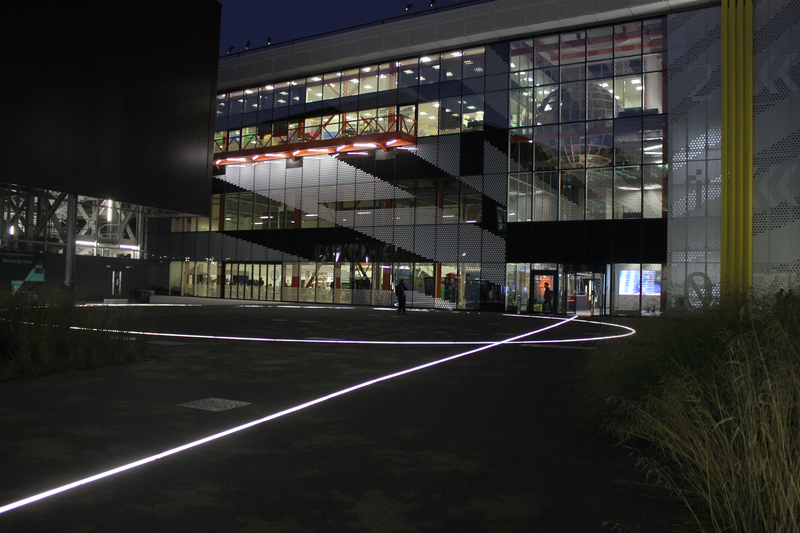 The inground Glowline solution seamlessly links the transitions between these varied surfaces, contributing to a well-balanced installation and a unified exterior public space.